I (Kaitlyn) am part of an adoption facebook group. It is filled with adoptees, birth families, expectant parents and adoptive parents. One wonderful thing about this group is being able to learn from the perspective of people from all sides of adoption. 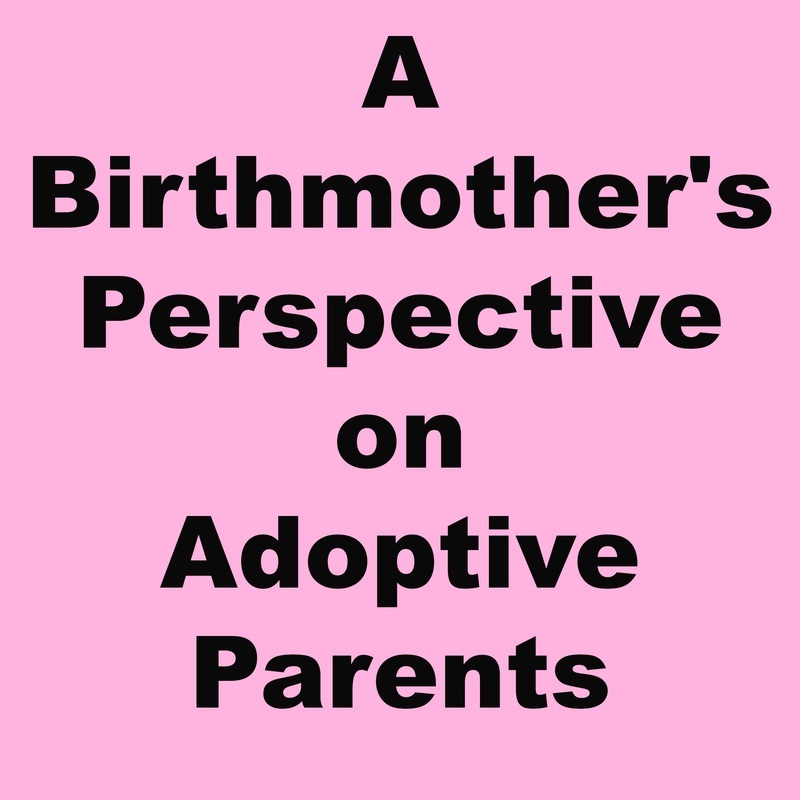 Recently, Lauren, a birthmother, wrote this about adoptive parents. I thought it was absolutely beautiful and kind. I love the perspective she gave me and I hope other birth parents think as kindly about adoptive parents as she does. I really can not imagine what it would be like to have to rely on some one else to give you something so beautiful. To have those mother instincts but not being able to be a mother. To have to pay an arm and a leg just so you can have the opportunity. To have to sit on egg shells every single day once "chosen", until those papers are signed. The gut wrenching feeling of knowing your happiness is really some one else's sorrows and your smiles are because of some one else's tears. The fear an expectant mother can back out at any point and your heart will not only feel empty but shattered as well. "Am I going to feel like this child is mine?" "I'm scared I won't do a good job and people will judge me." "Is the child going to feel a connection with me?" The most amazing feeling I have ever experienced in my life was looking at the child, that was growing inside of me, for the first time. To see what I created being so beautiful. If I never experienced that I really do think a part of me would be missing. I would mourn never having that feeling...I'm saddened that not everyone gets to feel that. No one should ever have that moment stripped away from them not by choice. Today I had the realization that even HAP's and AP's must have gone through just as much sorrow as a birthmom. Only difference is that "ones heart is full, about to be empty" and "ones heart is empty about to be full". Not a lot of words can be said to calm and sooth ones heart who is mourning the loss of motherhood. This group has given me a tremendous amount of peace and I pray that us birthmom's have given you some kind of hope.